We’ve been a bit quiet lately. Not on purpose – but between Half-Pint’s, we’re reminded of all of our other hobbies. And our jobs. Oh, and our families. But we’re not short on thoughts (and as my husband always says – absolutely not short on opinions) so we’ll begin to send them your way again soon, promise. In the mean time, we’ll post a little link fun. LOVE this blog (LOVE the color just as much, too). 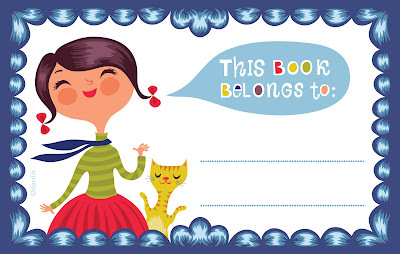 How About Orange posted these cool book plates. And because it’s officially summer, your kids might enjoy a trip to Half-Price Books, and this nifty book plate to boot. Sounds like a perfect rainy-afternoon activity.